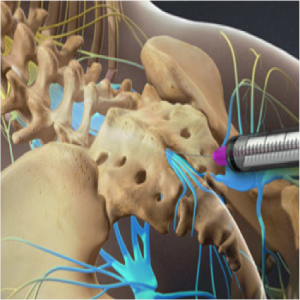 A selective nerve lumbar nerve root block is a type of epidural steroid injection to treat lower back pain and sciatica caused by nerve root irritation . What is the epidural space and what causes pain in that area? Dura mater is a protective layer that covers the spinal cord and its nerves. The space that surrounds it is called the “epidural space”. In the lower back, it is known as lumbar epidural space. The lumbar area of the dorsal medulla has 5 bones, called vertebrae. Between each one of them there are some soft discs that serve as protection, keep them together and control the movement. 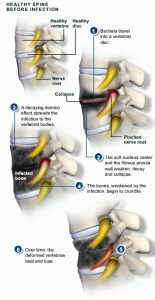 If a disc is torn, the chemical products that lie inside could get out causing inflammation of the dura mater and the nerve roots, which produces severe pain. 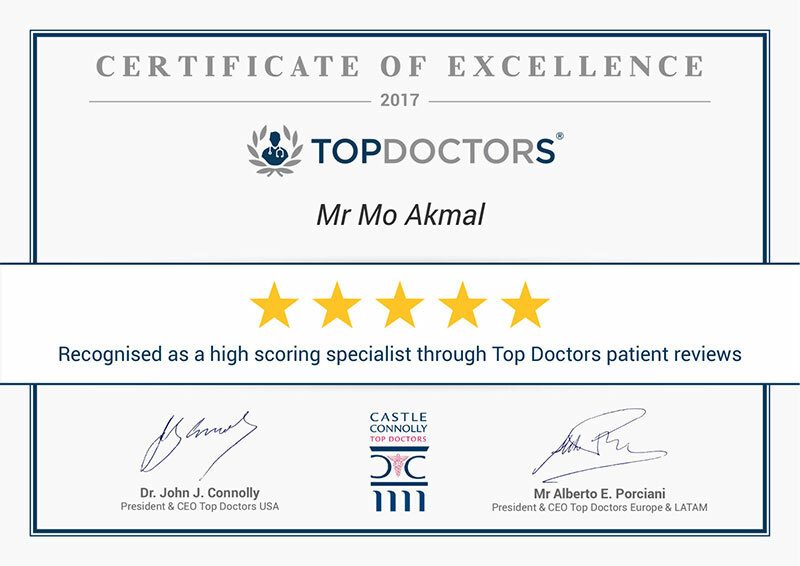 If you have pain in your lower back when you bend it, it may be due to an inflammation of the dura or lumbar discs, if the pain reaches your leg when you bend your back, it may be due to inflammation of the nerve root. What is the selective nerve roots block? In a lumbar epidural injection, an analgesic and a steroid are applied together directly in the epidural space to reduce inflammation. 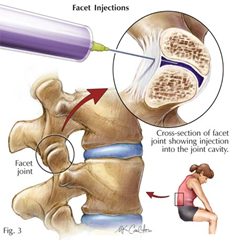 If the needle is placed next to an individual nerve root, the procedure is known as selective nerve root block. This technique involves introducing the medication directly along the inflamed nerve root. Fluoroscopy, a kind of X-ray procedure, can be used to ensure safe and proper needle placement.